The earliest that I can remember of wanting to become a dentist was at the age of eight. My mother took me to my first dental visit and, for approximately one hour of treatment, the fee was an impressive seven dollars. “Wow!”, I thought, “That’s big money.” By the time I reached seventh grade there was no doubt in my mind: this was the job for me. With my parents’ encouragement this drive lasted and I graduated in 1955 from the University of Alberta. Things went well during the next few years. I immediately took over a practice. I met my future wife, Nan,as a patient in my first week of practice and we were married the following year. I found fulltime practice exciting and productive but I needed other challenges. I experimented with opera and studied voice with great enthusiasm until my voice teacher told me that less than one tenth of one percent of young voice students ever reach a point where they can make a living at this art form and a miniscule amount of these ever become truly great performers. Shortly after, the world of opera aficionados must have breathed a sigh of relief when they learned that I would stick to dentistry. Opera became a hobby and has brought me immense pleasure. 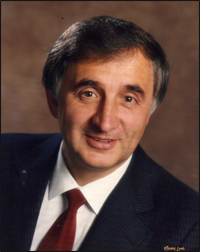 During my early years in Edmonton I was encouraged by a very good friend and classmate, Neil Basaraba, to teach on a part-time basis at the University of Alberta School of Dentistry. Soon, I was given the responsibility of developing the sophomore fixed prosthodontic program which had not existed previously. To accomplish this task, I turned to my friend and former classmate, Myron Warnick. Myron had already completed the fixed prosthodontic program at the University of Washington and was a faculty member there. He sent me everything he had which was an immense help. After directing the sophomore program for one year, I knew that I was hooked with fixed prosthodontics for the rest of my life. There was only one problem: I was aware that I had yet so much to learn. What could I do? My brother, William, at that time had finished his Ph.D. training in Metallurgy and was an assistant professor of the University of Alberta. He was working on a new amalgam and it was there that he developed Dispersalloy the first high copper amalgam. It was with Bill’s encouragement as well as my wife’s enthusiastic support that I decided to go for it and apply to the University of Washington. To me, this University was the logical place where to apply. 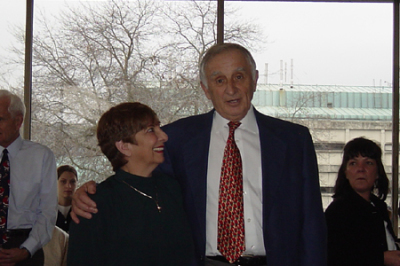 I had heard of the many great restorative dentists with which Seattle was blessed, and I had an inside connection—Myron Warnick. During the same period of time Nan and I were awaiting our fourth child. It was going to be tough but, in spite of this, we made our decision to pursue new adventures. When I was accepted into the program, we had only a few months to sell my practice, rent our home and settle many affairs. Three months prior to leaving Edmonton, I thought that it would have been a good idea to visit Seattle and at the same time attend a course in Perio-Pros given by some guys called Drs. Amsterdam and Cohen. At that time, I had no idea who these people were and did not even know what Perio-Pros meant, but attending that course changed my life forever. I knew then that I was going to try my best to follow in the footsteps of Morton Amsterdam. During that visit I also had my first glimpse of Saul Schluger who introduced Morty and Walter to the audience. “My God”, I thought, “Who is that man?” Little did I know then how much Saul would affect my life. I have often told Saul that I regarded him as my father in Seattle. Because of him my interests in Periodontics grew while I was engaged in my studies in fixed prosthodontics. 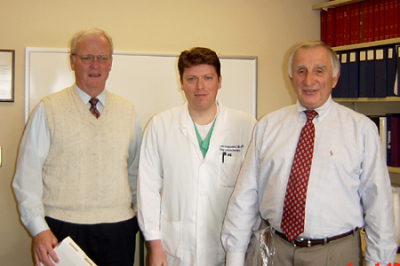 Ken Morrison, my director at that time, encouraged me to enroll in as many periodontic courses as were allowed by Saul. I virtually took every clinical and review of literature course in periodontics and was very excited about how this was helping me understand Perio-Pros. Shortly after completing the Fixed Prosthodontic program, Nan, the family and I were sadly preparing to return to Edmonton where I had a faculty position waiting. I went to visit Saul Schluger to thank him and wish him good-bye. Saul, instead, said: “Ralphy, why don’t you apply for Graduate Periodontic training?” My heart skipped a few beats. Despite the fact that my wife was expecting our fifth child, Gayle, I asked with trepidation for Nan’s opinion. Soon we unpacked and prepared ourselves to spend more time in Seattle. 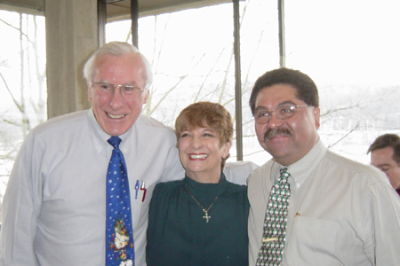 Ken Morrison added his support and appointed me to the faculty on a part-time basis. Financially, this helped a great deal. It was a great experience. After completion of the Perio program, I was offered another excuse to remain in Seattle: a full-time position in Fixed Prosthodontics. Needless to say, they did not have to twist my arm and I started by helping in the undergraduate fixed prosthodontic program while preparing myself for a career in teaching. Ken asked me to take over more and more responsibility in the Graduate program and, shortly after, turned the reins over to me. 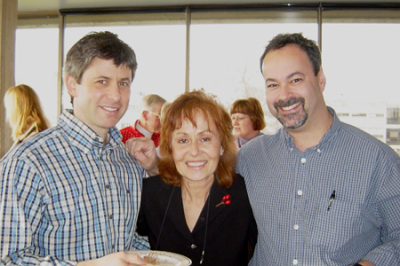 With Ken’s support and Saul’s continuous encouragement the program flourished and developed into a Fixed Prosthodontic program with a Perio-Pros flavor. 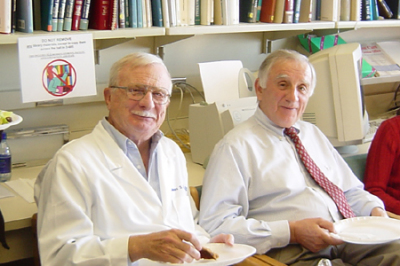 I was promoted to Associate Professor with tenure in 1967 and officially Director of the Graduate Fixed Prosthodontic Program in 1969. It was soon after this that Saul asked Roy Page and me to collaborate with him to write a hook on every aspect of Periodontics. I felt extremely honored and began my share of the project in 1970. Life became extremely busy trying to be director, practitioner, teacher, writer, father and husband. There was only one solution: to ask permission for a sabbatical leave. With encouragement from Saul and with the help of two tremendous editors, Alison Ross and Judy Kotary, I finished my share of the book even before my sabbatical leave started. I was left with 12 months of heaven to spend in Europe! The sabbatical year was a glorious experience. During my stay, I did manage to step out of the sun and lecture a few times. This allowed me to sound the trumpet and let the Europeans know of our program. Shortly thereafter, we started to receive many applications from Europe and several outstanding graduates are now spreading the gospel in that continent. It wasn’t long before we became truly international.Today our graduates represent us in Canada, France, Switzerland, Monaco,Germany, Austrailia, Taiwan, Israel, Mexico, Italy, Spain, Singapore, Puerto Rico, China, Brazil, India, Thailand and Latvia. Four other events helped make this program first class. The first was the arrival of Ron Lemm as a young technician early in my tenure as director. Those were pioneering days full of fun and excitement. Ron’s good nature, talent and hard work was an important part of the program development. The second was Bob Faucher’s decision to teach in the program at a time when our discipline was exploding with changes. Without Bob’s commitment and untiring effort I am certain we would not be at our present level of excellence. It saddened me greatly to see Bob leave our faculty. The third was Vicki York’s decision to he my secretary. She has given this program loyal and invaluable support. Finally, the fourth was the arrival of Jack Nicholls on the scene. For a long time one of my major concerns was the fulfillment of our students’ research requirements. Jack took complete care of that with vigor and untiring enthusiasm. Suffice to say that he has precepted virtually all of our grads since his arrival. The program took a change in 1986 when the American Dental Association mandated that separate programs in fixed and removable prosthodontics combine. Our new combined program was launched and I was nominated to direct the first five years with Drs. Dale Smith and Jim Brudvik acting as codirectors. Initially, I viewed this combination with some skepticism but today I can truthfully say that the program is better and stronger than ever. My gratitude to Dale and Jim for their cooperation and dedication to see that this marriage worked. When it came time for me to retire, I was fortunate to chair the selection process for a new director. Our unanimous choice of the applicants was Keith Phillips , one of our super former grads who accepted the position. Keith performed masterfully for several years and still does on a part time basis. We continue hoping that somehow Keith will return on a full time basis. I am also eternally grateful to my students, staff and faculty without whose dedication, talents and hard work over these many years would have never produced what we enjoy today. future administrators, directors, faculty and students but also upon the love, dedication and support of our alumni. My life as a teacher and mentor of this program for over 40 years is the greatest trip that anyone could experience.